This week we'll be looking at a different co-op, free to play game, every day. We'll give our impressions, post an FAQ, maybe have some video coverage, and possibly give away some in game goods. There are a lot of games out there, but we narrowed it down to five titles this week. It should be noted that some of these titles aren't even officially "released" - some are in an open beta format. That said everyone of these titles DO allow you to purchase in game goods, team up with friends, and work together towards a common objective in good ol fashioned co-op. Monday, July 29th - Warframe - 4 player co-op action game set in the future with space ninjas. Tuesday, July 30th - DOTA 2 - 5 player co-op MOBA. Practice against bots of varying difficulty before heading into the competition. 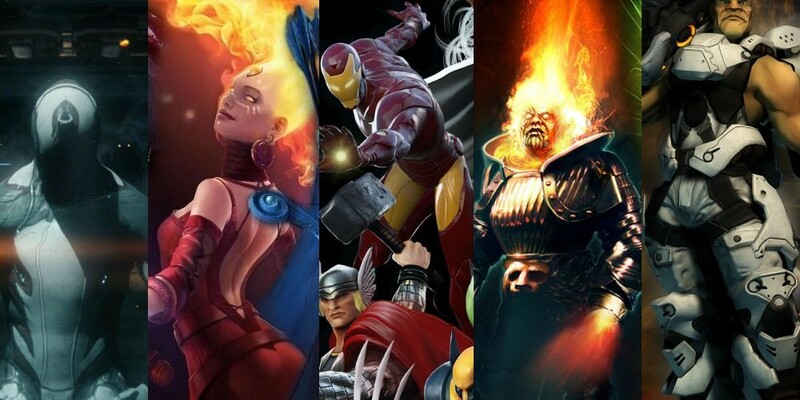 Wednesday, July 31st - Marvel Heroes - 6 player co-op action/rpg set in the Marvel universe. Friday, August 2nd - Firefall - 5 player co-op 3rd person online shooter. Team up for giant dynamic events or squad up for smaller missions. Most of these games currently exist only on the PC, consoles and Free to Play are in their infancy. We do know the PS4 will have a version of Warframe available at or near launch and we expect more publishers and developers to experiment with the model on the next-gen systems. Microsoft's reboot of Killer Instinct is actually using this model, which we haven't really seen yet in the fighting genre. You can find free to play games on any system by using our Co-Op Games search and adding the "Free to Play" filter. Here's the current list of Free to Play Co-Op PC games. I think you'll be pretty surprised to find just how quality some of these titles can be and amazed at how much you can do in the game without actually spending a single cent. In our coverage that's something we'll focus on - where is the line drawn to where you'll actually have to spend real money. When does free stop being free. So sit back and check back each and everyday during our Co-Op Free to Play Week here on Co-Optimus.